Gov. 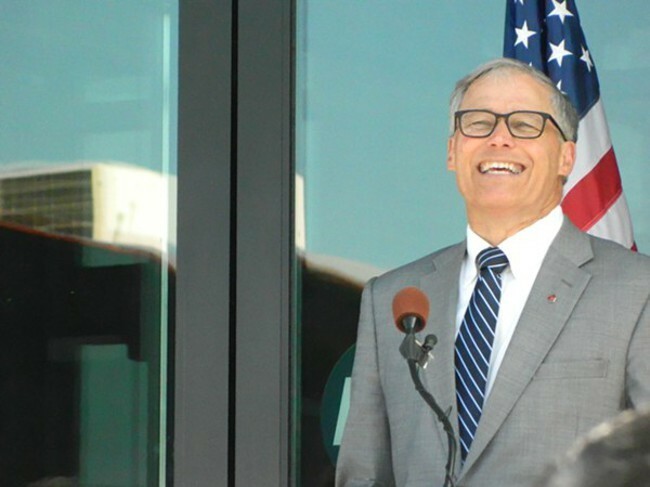 Jay Inslee gave final approval to the Spokane Tribe's casino plans. • Ten years after its original proposal, Gov. Jay Inslee approved Spokane Tribe's $400 million casino and retail development. Some are not happy about it. • A local woman has been running a needle exchange for the past 25 years. Lynn Everson looks on how she got here, where she's going. • Bed bugs are back and stronger than ever. Now some are resistant to the power pesticide that once killed them. • Elk Fest is this weekend in Browne's Addition. Here is everything you need to know. • Washington's school superintendent says it might be time to close public schools in the state until the legislature can figure out a way to provide funding, as required by the 2012 state Supreme Court decision. • Four new synthetic elements discovered in December 2015 will join 116 others on the periodic table after receiving their new names and atomic numbers. A group of kids in New York dance in front of an unenthusiastic audience on the subway to make money. Some are homeless. "I'm begging without words. I'm begging with a smile," one says. They call themselves "We Live This."